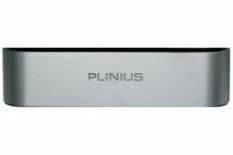 Plinius P10 review | What Hi-Fi? Like your music loud? Read on. This Plinius P10 power amp and M8 preamp combo revels in antisocial volume levels, while delivering the kind of kick and clarity few rivals can match. Plinius is an established specialist brand from New Zealand that's never quite had the UK marketing push it deserves. We hope that changes, because this pre/power is something special. You already know it likes to play loud, but it's also detailed, transparent and extremely agile. This is a fast, exciting amplifier that thrives on hard-charging beats and complex rhythms. Feed it OutKast's The Love Below, and it responds with enthusiasm. Complex tracks holds no fear: individual instrumental strands remain clear when the music gets busy. Tonally, the Plinius has just a hint of top-end brightness, but matched with something refined and transparent, such as the ProAc D28 floorstanders (£3250), you'll get a stonking sound that's hard to beat for the money. The P10/M8 pair's most impressive strength is bass replay: the low frequencies are taut and tuneful, yet pack a hefty punch. With the right material, say The Battle from the Gladiator OST or Nusrat Fateh Ali Khan's Mustt Mustt, and an appropriate system, we can't think of another rival that betters it. This amp does subtle, too: there's plenty of finesse and fine stereo-imaging. It also looks tidy, and is built like a pair of bricks, with a neat remote. Overall, this is one terrific preamp, and one that easily justifies its stratospheric price tag.